Pope Francis has announced that he will travel to the Holy Land from 24 to 26 May 2014 , on a pilgrimage that will take him to Bethlehem, Jerusalem, and also to Amman Jordan. The main purpose of the trip is to commemorate the anniversary of the meeting between Pope Paul VI and Orthodox Christian leader Ecumenical Patriarch Atengora. While in Jerusalem , Pope Francis will celebrate an ecumenical meeting in the Church of the Holy Sepulcher with Patriarch Bartholomew of Constantinople, and representatives of Christian Churches in Jerusalem. 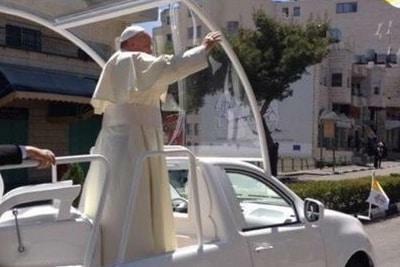 Pope Francis’ visit will be the fourth papal visit to the Holy Land since the 11 hour visit in 1964 of Pope Paul V1. 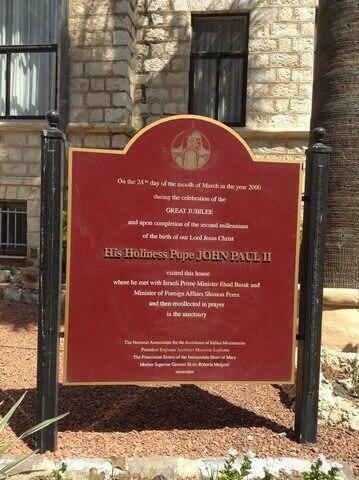 In March 2000 Pope John Paul II paid a 5 day visit to Israel and visited the holy sites of the three major religions. He also met with Israel’s Rabbis and Political Leaders and made a wonderful speech at Yad Vashem. His words did a great deal to warm relations between Israel and the Vatican. The third visit to Israel by a Pope was that of Pope Benedict XVI in 2009. He was welcomed in the Holy Land as a true friend of the State of Israel and of the Jewish people. His visit was extremely important as it marked an important stage in the development and strengthening of the dialogue between all three monotheistic religions. 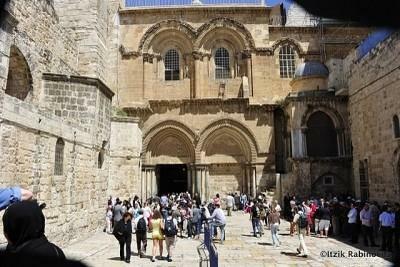 While in the Holy Land and the Palestinian Authority, Pope Benedict visited holy sites of all three religions.